A huge Enid Blyton fan, Fiona read to stave of childhood boredom. 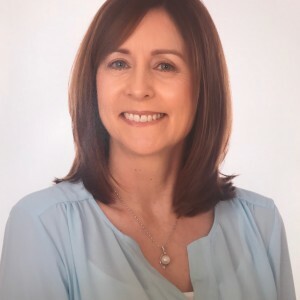 She became a dental nurse, eventually working at The Dublin Dental University Hospital, but when her children came along she took an eight-year career break. She worked for the Northside and Southside People, before writing her way into the Irish Times. Meanwhile Fiona wrote short stories and was five times shortlisted for the Francis McManus Award. The idea for the novel grew from a legal feature titled the secret life of a stenographer. She started writing it as a short story, but it grew. She sent it out last Autumn, and was offered a three-book contract by Poolbeg, last December. Education: Maryfield College. Colaiste Dhulaigh, Coolock, certificate course in journalism. D.I.T: Law. Family: Husband Paul, Jenny 27, Paul Junior, 25, Rose 24, and Katie, 20. The Day Job: Assistant News Editor with the Irish Times. Favourite Writers: Anne Enright; William Trevor; Margaret Attwood; Ian McEwan; Alan Bennett. Second Novel: Second in the series, it’s finished and gone to the publisher. Top Tip: Don’t feel you have to write every day. Do it when you can. The Debut: In The Court’s Hands. Poolbeg Crimson: €14.99. Kindle: €4.51. As a stenographer, Beatrice Barrington observes all the goings on in the criminal court. When she witnesses a meeting between the defendant and a woman who then contacts a jury member, she’s conflicted. When the jury member is found dead, Beatrice gets pulled into the mystery. Determined to get to the truth, she teams up with retired Detective Gabriel Ingram. But is her life in danger? The Verdict: A clever crime novel with a new, original angle. Published in the Irish Examiner on 3rd November.